Wait, are we getting an Animal Crossing for Nintendo NX? Okay, educated guess time but a line in a recent Nintendo press release suggests we could be looking at new Animal Crossing, potentially on the Nintendo NX. The press release covers both the Nintendo NX release date and Nintendo’s next two mobile games but it’s the latter that’s of interest here. 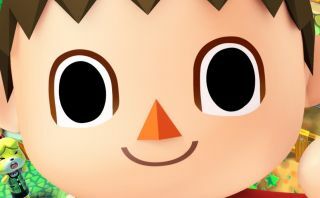 There’s a mention that the new mobile Animal Crossing will “be connected with the world of Animal Crossing for dedicated gaming systems”. Two things there: firstly the last proper Animal Crossing was in 2012 so clearly we’re looking at a new game here to connect to. Secondly, that’s a very diplomatic use of “dedicated gaming systems” there. Why not say Wii U? The Wii U’s out. Say that if you mean it. Or 3DS. That’s out too. Of course a new Animal Crossing could still be for either of Nintendo named systems but, this close to the NX’s release, the lack of a platform there does sound slightly suspicious. Seen something newsworthy? Tell us?